This paper presents a sensory-motor coordination scheme for a robot hand-arm-head system that provides the robot with the capability to reach an object while pre-shaping the fingers to the required grasp configuration and while predicting the tactile image that will be perceived after grasping. A model for sensory-motor coordination derived from studies in humans inspired the development of this scheme. A peculiar feature of this model is the prediction of the tactile image. The implementation of the proposed scheme is based on a neuro-fuzzy module that, after a learning phase, starting from visual data, calculates the position and orientation of the hand for reaching, selects the best-suited hand configuration, and predicts the tactile feedback. 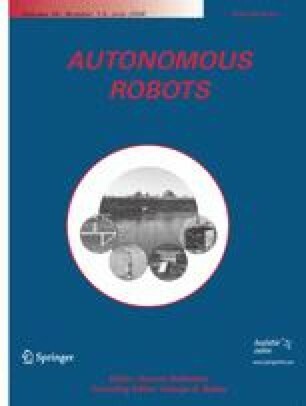 The implementation of the scheme on a humanoid robot allowed experimental validation of its effectiveness in robotics and provided perspectives on applications of sensory predictions in robot motor control.